There is an emotional connection to our plants. We plant them, feed them, water them, clean-up after them and worry about their growth and development – sometimes it seems a lot like what we do for our children or our pets, although to a lesser degree. There is definitely an investment of time and resources that goes into gardening. It is tempting to pamper our plants through frequent fertilizing and watering to ensure that they grow big and lush. It understandably gives us a lot of pleasure and sense of accomplishment to see our plants thrive and bloom, or produce a bounty of fresh juicy fruit and vegetables. But, with a drought situation, now is not the time to pamper your plants. Now, is the time for tough love. Your plants might not like it much. They might become “petulant” by withholding their lushness, not flowering like before or not producing as much. But, they will survive. Most of us over-irrigate our plants, so its ok to reduce the water you give them. In fact, the amount of water given to plants can often be reduced by 20-40%. Most established landscape trees, shrubs, and groundcovers, regardless of the species planted, perform acceptably well with 20-40% less irrigation than they are typically given. To reduce irrigation with the least harm to your plants, water infrequently and deeply. Do this by increasing irrigation runtimes and extending the number of days between irrigation events. I know this seems contrary to the idea that you should reduce the irrigation runtime and keep the same frequent irrigation interval, but this will work. Schedule slightly longer irrigation runtimes so that the entire root zone of plants is rewetted at each irrigation; then gradually increase the interval between irrigation runtimes over a few weeks. This practice will allow you to save water while allowing your plants to adjust to a new watering regiment. 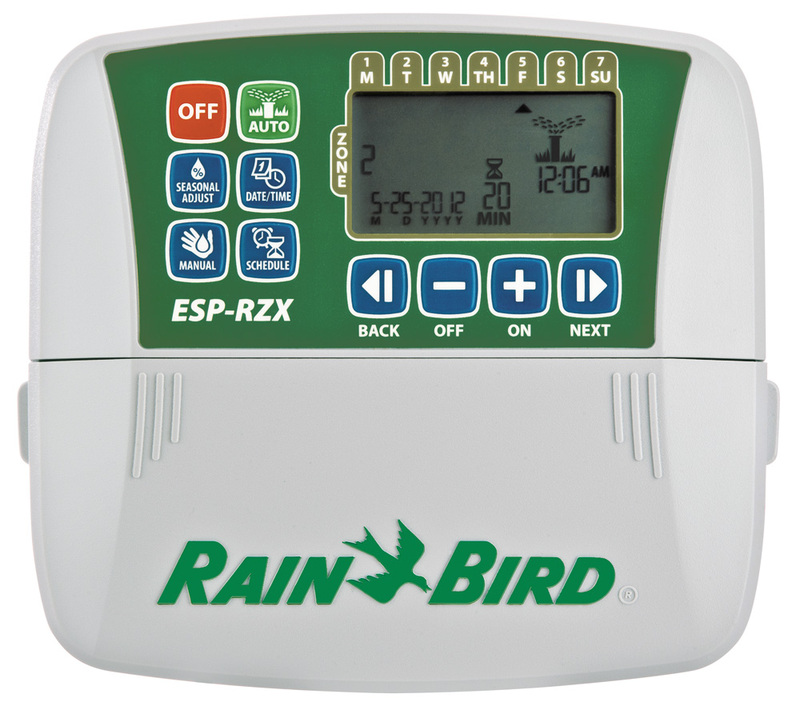 After extending the interval between irrigations, the water budgeting or seasonal adjust feature found on many sprinkler controllers (such as Rainbird) can be used to fine tune runtimes and achieve optimum water conservation. In order to fully wet the soil without creating runoff or puddling of water, it will usually require scheduling 2 to 4 relatively short irrigation cycles of 5 to 15 minutes on each irrigation day, depending on slope, soil type, output of the irrigation system, and how much water is needed. Splitting up the watering like this give the water a chance to really soak into the soil instead of just running off the dry surface. Adjust the runtimes in your irrigation controller every month to account for changes in the average weather conditions. This alone can reduce landscape water use by up to 10%. 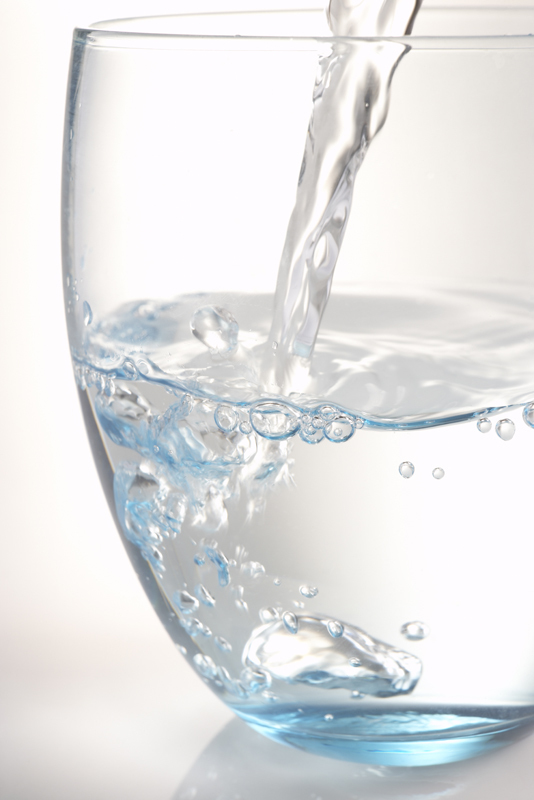 It is important to gradually reduce the water over a few to several weeks so the plants can adjust to less water. Try to irrigate during the very early morning hours (between 2:00 am and 6:00 am) because evaporation is lower and usually there is little, or no, wind to disrupt the pattern of sprinklers during these hours if you are watering lawns. In addition, water pressure is a little better for irrigation systems during this time. Nighttime watering in dryer areas does not normally cause greater incidence of plant disease because the humidity is relatively low. And, contrary to common belief, midday irrigation does not harm plants. However, It isn’t effective in conserving water. 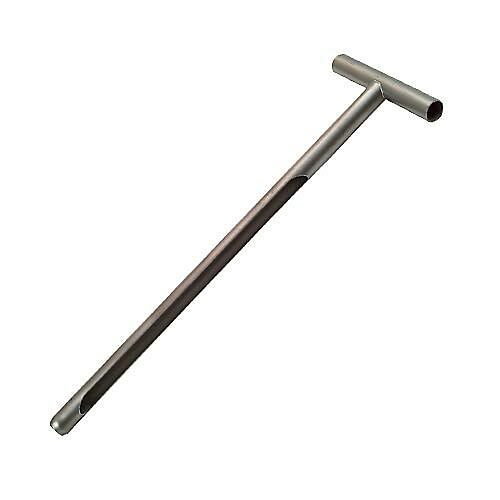 To find out how deep the water is going into the soil, take a long screwdriver (or similarly shaped tool or soil probe) and probe the soil in several spots an hour or so after an irrigation. The depth that the screwdriver or tool can be easily pushed into the soil is the depth that the water has penetrated. If deeper wetting is needed to wet plant roots, then additional irrigation cycles are needed. If the soil is wet beyond plant roots, then the runtime should be reduced. Checking the soil moisture each day during drought – or really hot, dry days – with this technique and watching the plants for signs of wilt or water stress will enable you to see how long it takes for soil to dry to the point where water must be replaced. This is the maximum interval between irrigations for the current season. Ideally, irrigation is applied just prior to the onset of plant stress, so schedule irrigation about one day shorter than the maximum interval. Note: Established small shrubs or groundcover are those that have been in the ground for a period of one year or more. A tree or larger shrub must be in the ground for at least 3 years to be considered established. This post is really useful. My plants tend to go without water but unfortunately by accident! Thanks for the feedback – You were ahead of the curve and didn’t even know it!